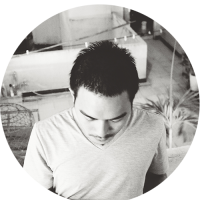 Le Thanh Tung (a.k.a Crazy Monkey) is a Visualist based in Saigon (Vietnam). Experimenting with animations, projection mapping, and video art, Crazy Monkey turns his imagination into playful, ironic, and surreal elements with unique style in his work. Crazy Monkey has also contributed numerous installations and street art projects across Southest Asia and Europe . He also perform live video and Interactive Visual in forms of VJing (Visual Jockey). Phan Minh Tuan (Liar Ben) is an illustrator and mural artist based in Saigon. Ben's art works represents his concerns about the public, awareness between life and art, of cultural transformation. Ben aims to make public artworks and join in artists collective that are capable of expanding one's perception and cognition. Luu Thi Hoai Trang (Jenny Luu) is the Head of Dance at SMPAA (SOUL Music & Performing Arts ACADEMY) in Ho Chi Minh City. Additionally, she also teaches ballet, character dance and performing arts skill for Vocational Ballet School of Ho Chi Minh City (VBSH) and Military of Arts University. She graduated from the Federal State educational institution of higher and postgraduate professional education Russian Academy of Theatre Arts GITIS, specialized in Pedagogics of ballet. Most recently, she performed the contemporary dance Unbreathing with choreographer Nguyen Viet Ha, aiming to shift the perspectives on “body limitation” and “beauty limitation”. Truong Minh Quy was born in 1990 in Buon Ma Thuot, a small city in the central highlands of Vietnam. In 2008 he entered film directing class at the Cinema and Theatre University in Ho Chi Minh City. Yet he decided to quit his education after the first year in order to pursuit his independent filmmaking career. In 2012, he was a fellow of AFA (Asian Film Academy, Busan International Film Festival). In 2016, he attended Berlinale Talents (Berlin International Film Festival). Mai Thanh (Nu) was born and grew up in Saigon, but settled in New York for 10 years. In addition to photography, she is also the co-founder of the artist collective zine for LGBTQ community named Vanguard. Currently she is managing an art space - hostel Chaosdowntown. Her main interest is to organize multi-disciplined and experimental shows using diverse materials, to create interesting and eclectic art. Art to her is spontaneity and flexibility, so she hopes to connect with Asian artists with the same desire. Duong Anh Xuan (Xuan Kurt) describes herself as a woman and a mother. She has been working in diverse multimedia projects, yet photography is where her heart lies. One of her biggest influences right now is Martin Parr with his subtle humor yet perfectly captured contemporary society. In recent years, she has been asking many questions regarding social and political issues of the Vietnamese history, even those cause Xuan to doubt her own passion in photography. The environmental and microhistory factors, which are rarely portrayed or completely erased in the history books, will be her main artistic focus in the next few years. She is currently working in a project to save the environment on the Ly Son Island and hopes to collaborate with regional artists on this. 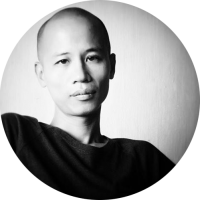 Le Phi Long is a visual artist based in Ho Chi Minh City. 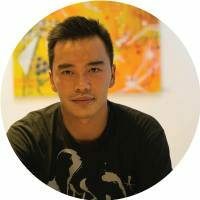 He graduated in interior design at Hue Fine Art University in 2012, then participated in residency eNAME Art Center founder group in Ha Noi. 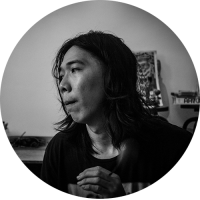 He joined the residency artist group at San Art Laboratory in Viet Nam the following year and Bamboo Curtain Studio, Taiwan in 2015. Long’s practices include painting, land art, set design, photography and conceptual objects. Through historical and geographical documents, Phi Long is conducting a study of human origins as well as the intervention in the cultural shift, examining the communities affection on generation. 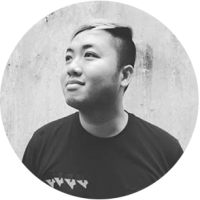 Cao Hoang Long is a young, proactive art director and visual artist based in Saigon. Long started his artistic path since 2011 as a visual performance artist and the borderline of his capacity will broaden more in the future as Long keeps challenging himself within his works. Long is interested in the flexibility of time and spaces, as well as the volatility between human’s emotional states. By producing and experimenting art, he is finding a way to reconcile the differences and oxymoron within those notions. In 2014, Hoang-Long self published a personal blog called “Điiiiiiiiiiiiiiiiii”, which featured his personal visual works about secrets, memories as well as the connection between human and the universe. XEM collective is a published book, first created in 2013, by a group of professional artists from different fields such as photography, painting and multidisciplinary. The title of the journal “XEM” represents the action of seeing or observing in Vietnamese. Going against the existing media industry, which accepts only the commercial and picturesque photography, it is also defined as a trace for a visual experience without any external editorial or artistic constraints. Tran Giang Thy (Thy Tran) is a Vietnamese-Australian visual artist currently living and working in Saigon. She graduated in 2012 with a BFA from MADA at Monash University. In 2014, she began working as a freelance photographer, collaborating with several fashion publications in Melbourne. In 2015, she moved to Ho Chi Minh City, where she began to work with other local artists, as well as devote more time to her personal documentary projects. With the camera, Thy is capable of realizing very different aspects from what the human eyes see, and that notion of ‘distortion’ excites her. As Diane Arbus said, “a photograph is a secret about a secret. The more it tells the less you know”. The reason why she loves how photography is ‘truth’ and the ‘truth’ is up to what we want to believe in. 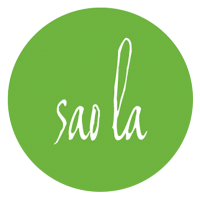 "Let bring art to the people, whether they like it or not" Sao La is a non-profit and independent art project/ collective based in Saigon - Ho Chi Minh City, focusing on relationship among artists, community and art itself. As the nature of a "space traveler", not based on a fixed location, Sao La carries two main objectives: making contemporary art accessible to the general Vietnamese public through educational programs, and nurturing Vietnam’s growing creative community. The project will serve not only as a project that organizes exhibitions, film and video screenings, workshops and lectures but also as an informal place for Vietnamese artists to experiment, challenge and develop their creative practices. Found only in the Annamite mountain range of Vietnam and Laos, Sao La is the name of one of the world’s rarest mammals. The word ‘sao’ on its own can signify ‘star’ or pose the questions ‘how?’ ‘what?’ or ‘why?’ ‘La’ suggests a shriek, call or shout. 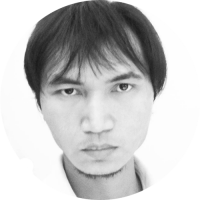 Nguyen Duc Tu is a commercial film director and visual artist at the same time. Though sometimes he is considered to be eccentric and difficult, he still follows the filmmaking trends of the market with a high expectation on compliance and consideration. Even if some of his works are for commercial yet some are not, Nguyen Duc Tu aims to refine aesthetic desires and therefore can offer more values through positive attitudes as well as behaviors of his viewers. 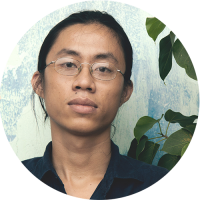 Nguyen Quoc Dung currently practices art by sketching the marginalized communities in Vietnamese society, through his conversations with migrants, transgenders and prostitutes in the landscape of urbanization and integration. His sketches are collected from real people and places they live. His practice does not only serves as a repertoire of the current memories, but also draws the line between the past and the present, the continuous and the obscured and erased. To understand the human transformation in the realistic urban setting, his works specifically portrays human’s adaptation to the social turbulences and hidden parts of the urban life. Suby One was born in France in 1979, and began to paint his first graffiti piece at the age of 13 in Paris. Bursting with inborn energy and perspicacity, he quickly found himself out of place within the confines of the public school system and was naturally drawn to the walls of the cityspace, thus to an emerging art form in the European underground – Graffiti. The urgency and impulsive violence of the nascent art form (and the public perception of it as toothless vandalism) left him breathless with excitement, as even in a matter of minutes, an artist was able to leave his clandestine mark on the world, whether that world accepted it or not. Deeply affected by NYC’s Color Field movement of the 20th century (abstract expressionism), he transposed his singular symbols from the lonely corners of the physical environment onto canvasses, giving his own visceral need of expression a new life. E: quangnguyentri@vr3d.vn Nguyen Tri Quang has experienced with ancient sculpture and 3D technology from his early ages through family possession. 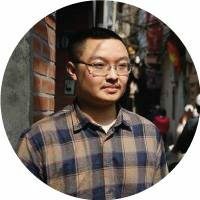 In 2010, Quang started to learn programming 3D and decided to pursue professional career in 2012, creating interactive 3D displays of heritage items. In 2014, Tri Quang officially launched VR3D.vn, an online platform for technology introduction and heritage promotion. Ever since, he has been involved even deeper in technical research, he rapidly collect more items and promotes cultural heritage further. Hundreds of legacy have been collected, 3D programmed and exhibited online at VR3D.vn website. P: laquytung@gmail.com W: http://www.pluszero.org/ Plus Zéro is a space for reflection and action around visual art located in Cu Chi. All options will be initiated to promote our research with the public and professional circles. Why +0 ? International dialing codes are classified by code (from 1-9), dividing the world into nine parts. The code +0 exists. Now, it is reserved for future use unproven (universal crossroads reserve Indicative). +0 will therefore by definition a creative space, exchange and experimentation around adaptation. Location1: 44B LY TU TRONG ST. D.1 Location 2: 1ST FLOOR - 103 DONG KHOI ST. D.3 Location 3: 4B LE QUY DON ST, D.3. A: 121/61 Le Thi Rieng, Ben Thanh Ward, District 1, HCMC P: (+84) 931 818 824 “Cháo” is porridge in Vietnamese, a dish typically for babies and kids. “Cháo - Chaos” is thus a own wordplay of mixing the chaos and the inner children in downtown Saigon. The space was created as a wonderfully exciting place to relax, to exchange and share art. Chaosdowntown provides an easy access to bars, restaurants, cafes and even street food vendors while remaining completely isolated and quiet in a small alley of Saigon. A: 57D Tu Xuong, Ward 7, District 3, HCMC P: (+84) 866 819 713 Blanc is an interdisciplinary space for the creation and presentation of contemporary art through exhibitions, performances, and public programs; a place where young artists experiment their new ideas and shape public conversation. Blanc’s bookshelf is comprised hundreds of artists, writers, and thinkers' publications. The diversity and wisdom of these gems have a drastic influence on the contemporary art history. 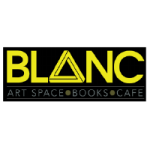 Blanc is a place of opportunity for the young generations to explore, experience, and celebrate innovation and creativity. 3a Ton Duc Thang, D.1, HCMC Cell: +84 126 415 4338 The Giant Step Urban Art Gallery is committed to the development and support of local and emerging artists by creating an exciting venue where artists can exhibit their works. 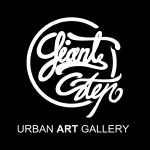 Giant Step gallery is constantly introducing innovative ways to bring opportunity and the gallery specializing in graffiti, urban art and contemporary art. A place where young artists meet, work, research, exchange ideas, learn skills and show their work in an environment that both encourages and sees the value in their work. The Gallery’s operations are multifaceted; and views art as a powerful tool for community development, social change and individual growth. A: 19B Phạm Ngọc Thạch, District 3, HCM P: (+84) 907 121 568 E: saloncaphethu7@gmail.com notbeingyet@gmail.com Cultural Salon Saturday Café was founded in HCMC by renowned Vietnamese musician Duong Thu in May 2009 as a cultural salon for creative individuals working in art and culture. The space regularly hosts and organizes events in music, architecture, literature, philosophy, painting, film and books, connecting high profile artists with the public, especially the young generations. Ca Phe Thu Bay now has spaces in both Hanoi and HCMC for intellectuals and young communities network and create new knowledges. Cultural Salon Saturday Café was founded in HCMC by renowned Vietnamese musician Duong Thu in May 2009 as a cultural salon for creative individuals working in art and culture. The space regularly hosts and organizes events in music, architecture, literature, philosophy, painting, film and books, connecting high profile artists with the public, especially the young generations. 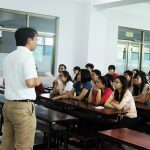 Ca Phe Thu Bay now has spaces in both Hanoi and HCMC for intellectuals and young communities network and create new knowledges. info@koganecho.net www.koganecho.net Koganecho Area Management Center (KAMC) is non-profit organization that uses art to revitalize the Yokohama City Naka Ward Koganecho urban area. KAMC was established in order to continue the area’s art-based development on a regular basis. With the city's everyday spaces as a stage, the festival has been held every autumn invited a total of over 170 groups of artists, curators, and architects from Japan and abroad. As a part of our program to revitalize the area, we convert and rent out the spaces that were once used for illegal businesses as art studios, shops, cafes and other creative spaces. By bringing artists to live and work in Koganecho, we engage in the revitalization of this area. KAMC's main projects include “Koganecho Bazaar”, Conversion, Artist-in-Residence program, Koganecho Art School, Gallery, Monthly Art Event and so far. In 2013, the organization became a Certified Non-Profit organization. KAMC aims to extend its activities. 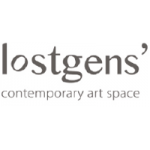 Lostgens' Contemporary art spaces was established in early 2004 by a group of artists. Though situated in the bustling capital city, Lostgens has managed to take on a certain quietness and edginess that comes from being off the beaten track. This self-managed experimental space aims to encourage originality, creativity, individuality, as well as to promote contemporary arts. It provides an alternative space for budding innovative exhibitions and performances. Lostgens has entered a next phase of unique development and operation. What started as a small private group has now moved out into the public, Lostgens aims to weave itself into the multicultural artistic atmosphere. More than just a place that brings together artists, it also provides a platform for a dynamic growth of multi-layered artistic culture. A: 413 Escolta Street, Mezzanine Level, First United Building, Manila — 1006 E: maoi@98-b.org P: (+63) 917.831.1943 98B COLLABoratory is a multi-disciplinary​ artist-run initiative and ​multi-functional space in Manila, Philippines. It is a community + network + library + kitchen + shop. The idea is to have a setting where artists and creative individuals from other disciplines can interact and work together while presenting art, design and creativity in different ways; be a talk, a bazaar, a publication, a meal or a simple gathering. It is a multi-disciplinary art laboratory that seeks to establish a convergence with artists, designers, curators, writers, musicians, filmmakers, activists, educators, researchers, cultural workers, performers, architects and students together with the general public. 3331 ARTS CHIYODA Tokyo | Japan http://www.3331.jp/en/ 3331 Arts Chiyoda creates a space in which leading artists and creatives have the freedom to present their diverse expressions. 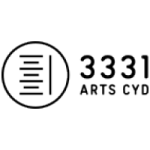 3331 aims to break the barrier of inaccessibility often associated with art museums and instead create an art space which everyone can enter at ease, including a wide range of spaces which visitors can enjoy for free. While walking throughout the arts centre you can sense the creative energy which makes up 3331 through the diverse range of artists and creative practitioners based here. 3331 is an active space hosting a wide range of events and exhibitions and transmitting a new form expression not only as a hub for Tokyo, but also acting as a hub which links Japan’s various regions and that of wider Asia, with the objective of forming an international base for a new kind of art. 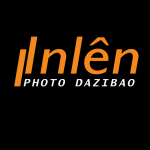 23B Tran Quang Dieu, District 3, HCMC Inlen Photo Dazibao Gallery is a hub of Saigon photographers’ community, also is a new exhibition space dedicated to photography and prints. Dazibao is a Chinese word which means "a wall poster written in large characters,” or limited-circulation newspapers during the Cultural Revolution in 60s. It is now used in the common language to name any print displayed on the wall to express personal opinion, ironically opposite of propaganda. Pictures are printed on surface with the spirit of dazibao without any restrictions to art. INLEN aims to promote the emergence of new authors with a real voice and to sell their works. The gallery is located in a concept building with specialty “B Coffee Lounge” and the photography school “BOW101”. P: (+85) 6 20 2939 9888 E: misoudah@gmail.com Misouda Heaungsoukhoun is a Secretary General for Association for Autism in Laos and the Manager of Lao Gallery, the first gallery to be opened after Laos’ independence in 1975. 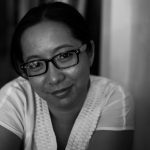 Misouda’s started her curatorial work in 2006 when she participated in the Mekong Art and Culture Project as a co-curator with the team from Cambodia, Thailand and Vietnam. 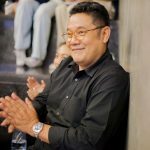 Misouda was co-curator for the Singapore Biennale 2013, a nominator of Laotian artist for the Fukuoka Asian Art Triennale, Japan, in 2010 and a nominator of Laotian artist for the Signature Art Prize, Singapore in 2012 and 2014. 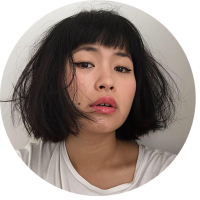 Annie Jael Kwan is an independent curator based in London, and an expert on Singapore - Cambodia contemporary art. 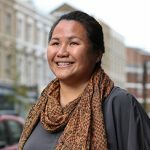 She is trained in theatre arts, film and cultural theory at Goldsmiths College and a postgraduate qualification in Law. She has curated numerous arts projects in the UK and internationally since 2005. Annie founded the curatorial partnership Something Human in 2012, to focus on the critical ideas and explorations surrounding movement across borders. Other selected projects include co-curating “50 Years of Theatre Memories” for irememberSG, the exhibitions EX PARTE connecting British, and ‘London Calling’ for the British High Commission for the delegation of the British Prime Minister to Singapore. takamori@kdmofa.tnua.edu.tw takamori_nobuo@outlook.com Nobuo Takamori is a Japanese-Taiwanese curator. He’s currently the curator of Kuandu Museum of Fine Arts in Taipei National University of Arts; and Director of “Outsiders Factory”, a curators collective. 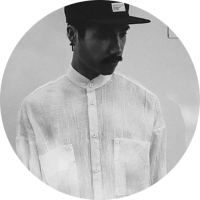 His selected important exhibition curatorial works include “Post-Actitud” (2011, Mexico DF), “South country, South of Country” (2012, Ho Chi Minh City), “The Lost Garden” (2014, Eslite Gallery, Taipei), Taiwan International Video Art Exhibition 2014 “The Return of Ghosts” (Hong Gah Museum, Taipei), “I Don’t Belong” (2015, Galleria H., Taipei) and “Wild Legend” (Ju Ming Museum, Jinshan, 2015). Ark Fongsmut graduated Bachelor and Master Degree in Political Science from Chulalongkorn University, Bangkok. Since his graduate, he has exploited his knowledge in that field while he also has had interest on Visual Arts. For that reason, in 1999, he pursued his curiosity in Curatorship at Goldsmith University, London. Up till now, he still uses his political science background, as it helps crystallizing the ideas from looking and seeing thoroughly, in curating contemporary art projects. Presently, he is a curator at Bangkok University Gallery and an art lecturer to many universities. P: (+81) 4222 68 454 E: ogawa@ongoing.jp Art Center Ongoing is a complex art institution consisting of a gallery space introducing must-see artists who lead today’s trends in art, with a cafe and a bar space used as a communicational place where visitors are welcome to read old and new art books, also the institution includes a library booth providing extensive information on artists compiled by our own artist network. We actively set up events such as symposiums and live events searching for the possibility of expression that is ongoing. What's going on in art now? Art Center Ongoing opens up a new ground for expression’s future through new connection. som.universe@gmail.com Chiang Mai Art Conversation (CAC) is a non-profit artist-run initiative that was founded in Chiang Mai, Thailand in January 2013. 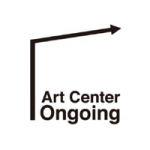 CAC main objective is to provide art information and to create an online art system contains art map of art spaces, events, and other useful Chiang Mai art data. Online efforts aim to reflect history and also predict the future of art scene in Chiang Mai through data bank. 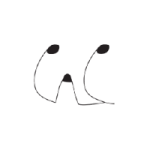 In addition, CAC do encourage and build physical connection and interaction in a form of various activities to further the growth of the art community and its public audience. 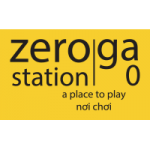 zerostationvietnam@gmail.com huybeo@gmail.com ZeroStation is a complex including studio/exhibition space and residency program, which bases in Hochiminh city (Saigon), Vietnam. The main mission of ZeroStation is to enrich and sophisticate the dialogues between the contemporary art and life. 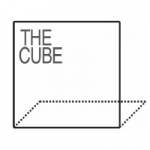 info@thecube.tw TheCube Project Space is an independent art space devoted to the research, production and presentation of contemporary art. TheCube has held its programs since opening in April 2010, including curatorial art projects, individual and collective works, public forums, screenings and publications. 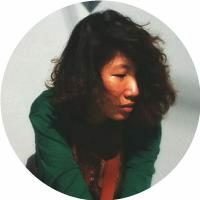 Founded by independent curator Amy Cheng and music critic Jeph Lo, TheCube aims to explore local culture in depth, connect people from diverse backgrounds, establish long-term relationships with artists and participants and promote cultural exchanges between Taiwan and the international community. 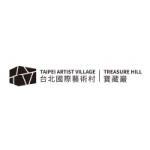 It is one of the few independent art spaces in Taipei that has the ability in organizing quality international exhibitions on a non-profit basis. A: Sothearos (St. 3), White Building, 2nd floor, No. 26-28E2 St 360, Phnom Penh 12301, Cambodia P: (+855) 977 320 555 E: lynovuth@gmail.com Sa Sa Art Projects is Phnom Penh’s only not-for-profit artist-run space dedicated for experimentation and collaboration. Founded in 2010 by Stiev Selapak collective and is located in a historic apartment complex known as the White Building, Sa Sa Art Projects engages with Cambodian and visiting artists, creative individuals and groups, students, and the White Building’s residents to realise art projects and events that are accessible and enjoyable by everyday Cambodians. A: No. 202, 2 nd Floor, United Condo, Ah Lan Pya Pagoda Road, Dagon Township, Yangon, Myanmar 1181 P: (+95) 9788 466 168 E: hayymann.oo@gmail.com newzero.ygn@gmail.com New Zero was started as the group of the artists and became New Zero Art Space in 2008. New Zero Art Space is doing the works to raise more young generation artists, to explore Myanmar contemporary art to the world and to provide the art education platform for contemporary and conceptual arts in Myanmar. 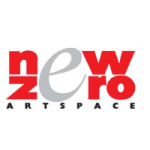 Several contemporary art movements and activities happened in Myanmar by New Zero and the curatorship was introduced to Myanmar art society in 2012 for the first time in Myanmar by the contemporary and curatorial exchange program and the curatorial workshops organized by New Zero Art Space. 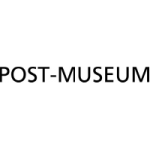 E: admin@post-museum.org Post-Museum is an independent cultural and social space in Singapore which aims to encourage and support a thinking and pro-active community. 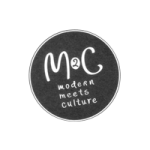 It is an open platform for examining contemporary life, promoting the arts and connecting people. Thus, functioned as a rental venue as well as organised and hosted various events and activities. These included local and international Exhibitions, Residency Programmes for local and international talents, Talks by local and international talents, Workshops and Classes, Community Projects, Research, Publishing. Currently nomadic, Post-Museum currently functions as a networked collective that creates social practice artworks. We also continue to organise and host projects, events and activities in various spaces around Singapore and abroad. A: Jalan Ngadinegaran MJ III/100 Yogyakarta 55143 Indonesia E: editor@kunci.or.id KUNCI Cultural Studies Center inhabits a precarious position of belonging to neither this nor that within existing disciplinary boundaries while aiming at expanding them. 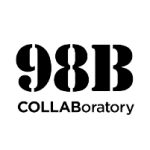 The collective’s membership is open and voluntary, and is so far based on an affinity to creative experimentation and speculative inquiry with focus on intersections between theory and practice. 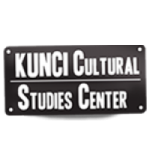 Since its founding in 1999 in Yogyakarta, Indonesia, KUNCI has been deeply preoccupied with critical knowledge production and sharing through means of media publication, cross-disciplinary encounter, research-action, artistic intervention and vernacular education within and across community spaces. A: Co-labShibuya, Udagawacho 42-6, Shibuyaku, Tokyo,150-0042, Japan P: (+81) 804 355 1721 E: info@vctokyo.org, taki.kentarou@ebony.plala.or.jp VIDEOART CENTER Tokyo (VCTokyo) was founded in 2001 as an association dedicated to videoart and other time-based arts in Japan. The aim of VCTokyo is to form an international alternative network for those arts. 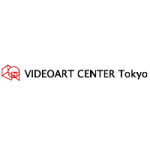 VCTokyo is managed independently as a Non-Profit Organization by video artists and the staffs who consider it necessary to establish a critical role of the videoart of the present against the society of spectacle. VCTokyo’s projects include “Kikai de miru koto”(2013), an open air video exhibition, “Videoart Promenade Asagaya”(2015, Tokyo), and took part in “Les Instant Video; 50th Anniversary of videoart”(2013, Marseille, France) and organizing other screening, exhibition and publishing projects. VCTokyo temporary has no space but nomadic way to rent space and facilities based on the project scale and concept. 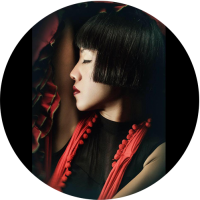 Zhuang Wubin is a writer, curator and artist. 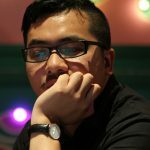 As a writer, Zhuang focuses on the photographic practices in Southeast Asia. A 2010 recipient of the research grant from Prince Claus Fund (Amsterdam), Zhuang is an editorial board member of Trans-Asia Photography Review, a journal published by the Hampshire College and the University of Michigan Scholarly Publication Office. 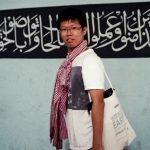 As an artist, Zhuang uses photography and text to visualise the Sinophone communities in Southeast Asia. E: isa.herig@gmail.com Isabela Herig is currently enrolled at the School of Oriental and African Studies in London, undertaking a BA in History of Art with a focus on Southeast Asia. Prior to SOAS, Isabela worked as a freelance photographer in London for three years and took courses in Graphic Design and Fine Arts. Isabela was born and raised in Brazil and her interest in Asian art and culture was inspired by her travels throughout the region. She spent the summer of 2016 doing research on Women Artists in Indonesia.